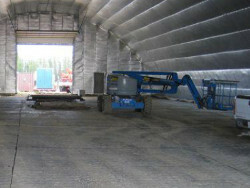 Eco-Flex Yukon Overlap Mats are specially designed to provide a permanent or temporary heavy duty surface solution. 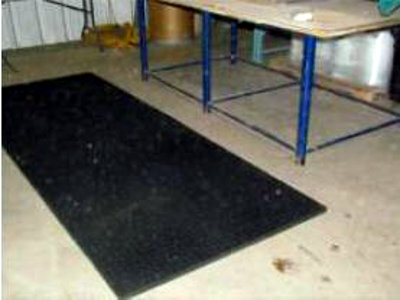 These mats are manufactured with a unique over-underlapping linking system, which ensures the connection between the mat is level and secure. Rubber Yukon Overlap Mats are perfect for many applications which include shop flooring, parking lots, staging areas, helicopter pads or even aeroplane runways. The surface is textured to provide excellent traction for all traffic types. Temperature: No adverse physical effects, although the stiffness will increase at extreme freezing temperatures. 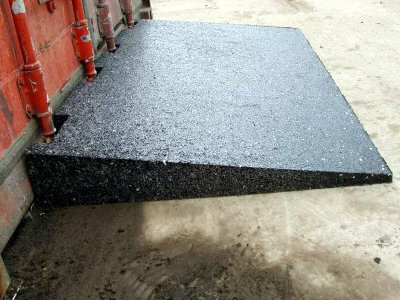 The mats can be removed during freezing conditions, as rubber will not bond to ice and snow. Insulating Value: Rubber is a natural insulator which gives our Yukon’s an estimated R60 insulation value. 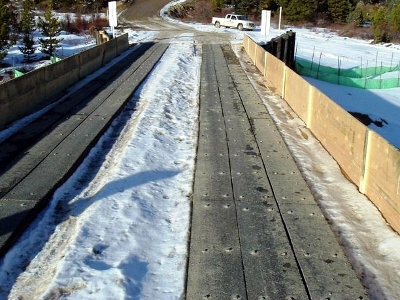 In the spring months, this allows the ground to stay colder longer enabling the temporary road to be in-service for a longer period. 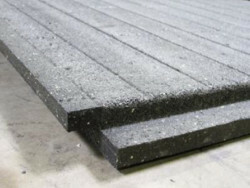 A single Eco-Flex Yukon Mat is made from approximately 250 recycled rubber tyres. With industries being pushed to use sustainable products made from recycled materials, there is now another solution other than mats made from composite, steel and wood. 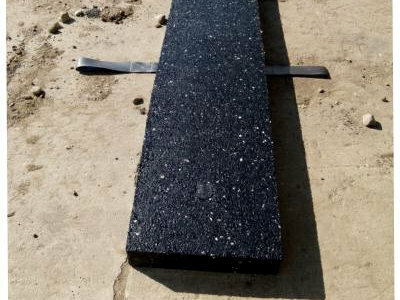 The recycled tyre rubber crumb recycled is primary petroleum based and by using a material base like this in our Yukon Mats proves to be a perfect sustainable product for the Oil & Gas Industry, Construction and Mining industries. By using recyclable materials in any business activity offers a better marketing image to the general public and your customers. 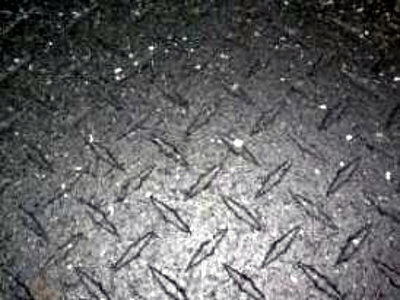 Rubber Yukon Mats are proven to be higher quality in comparison to conventional manufacturing techniques and materials.